We started our own line of label holders about 3 or 4 years ago and they have overall been a tremendous success and a wonderful addition to our own D. Lawless brands of hardware products. 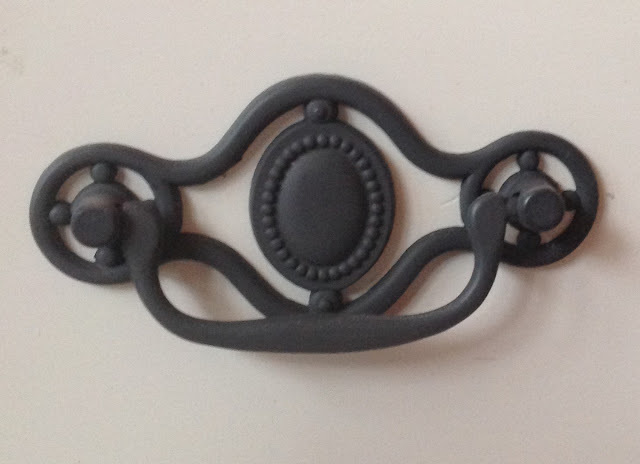 So many people have used them in different types of projects and pieces of cabinetry and furniture that the post would be too long to show them all. 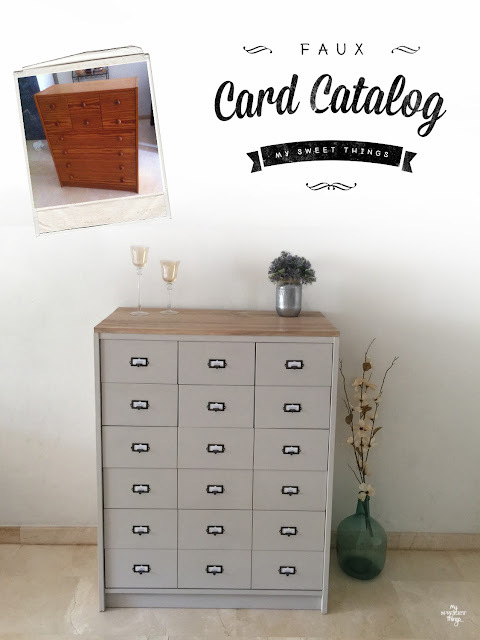 So, today we are just going to show you how they have been used for filing cabinets and card catalogs from our blogging friends. 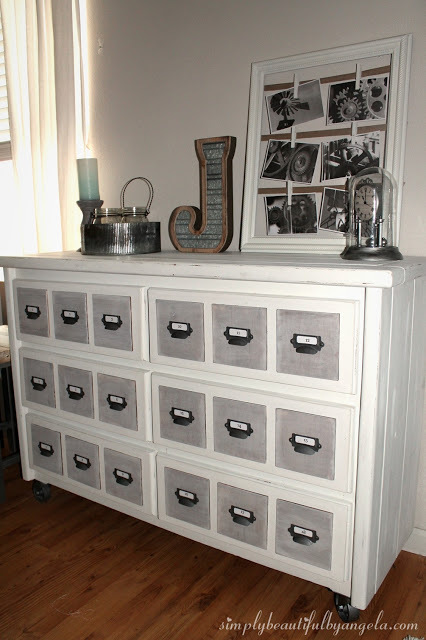 DIY Faux Vintage Card Catalog from Simply Beautiful. This was her favorite project and it started out as a dresser bought at a garage sale for only $15. See how this piece comes together over at her blog. 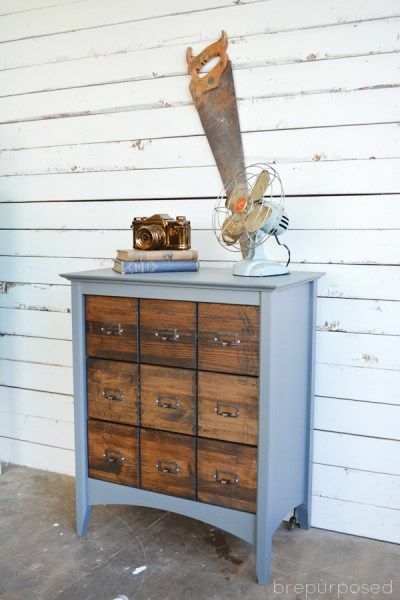 This wood filing cabinet uses our antique brass cup label pulls to create a vintage look. Delightfully Noted created this cabinet for storing craft items turning clutter into an organized space. 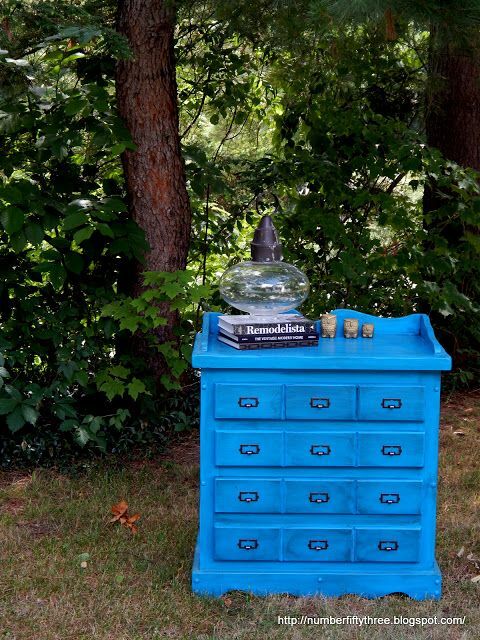 Painted in General Finishes Corinth Blue this vintage apothecary style cabinet carries some age and interest. Our antique brass finished label holders were used again, but this time with the finger pull style. Brought to you by Number Fifty Three. You can see the incredible before and after photo above. Another faux card catalog made from an old dresser. Pili from My Sweet Things takes you step by step for the wonderful transformation. A curbside find of a child's chest of drawers is turned into a vintage card catalog from Prodigal Pieces. From trash to treasure, this piece looks stunning with our label holders providing the finish touch. 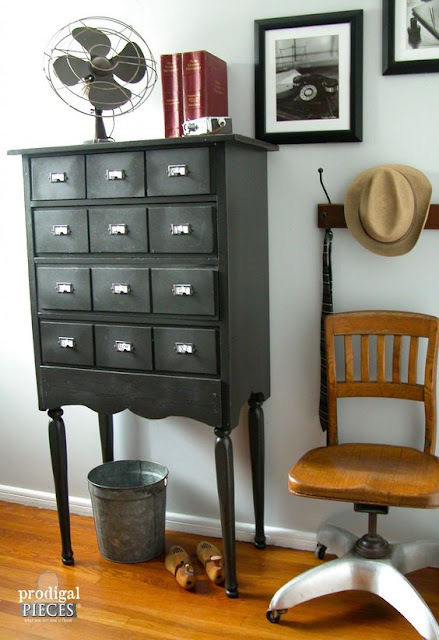 In her industrial themed furniture makeover come see how this thrift store piece of furnitured turned into a beautiful Fax Card Catalog complete with our label holders from Brepurposed.